It protects your ends. It grows your hair. It’s low maintenance. And will still make you look good. It’s not a bird, it’s not a plane and it’s not coconut oil but it is box braids. And they are here to lend a helping hand, especially through the next few gruelling months of the dreaded winter. 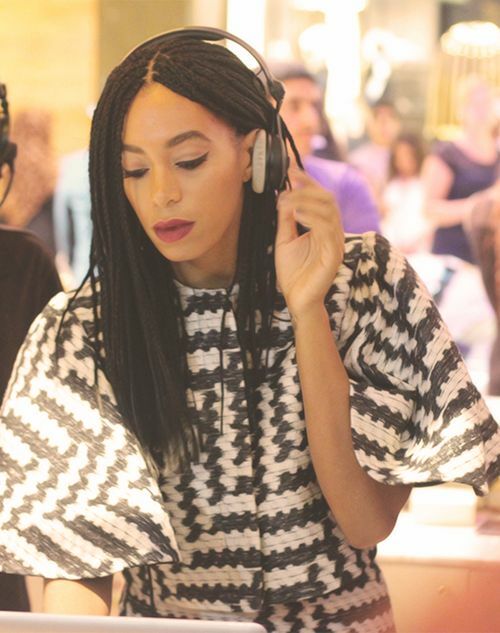 Box braids aren’t the new kid on the block. They’ve been around long before Black Twitter coined terms like #NaturalHair , #BigChop or #LocMethod. In fact, they are so old that they can be traced back almost 5000 years ago in the plains of Africa. 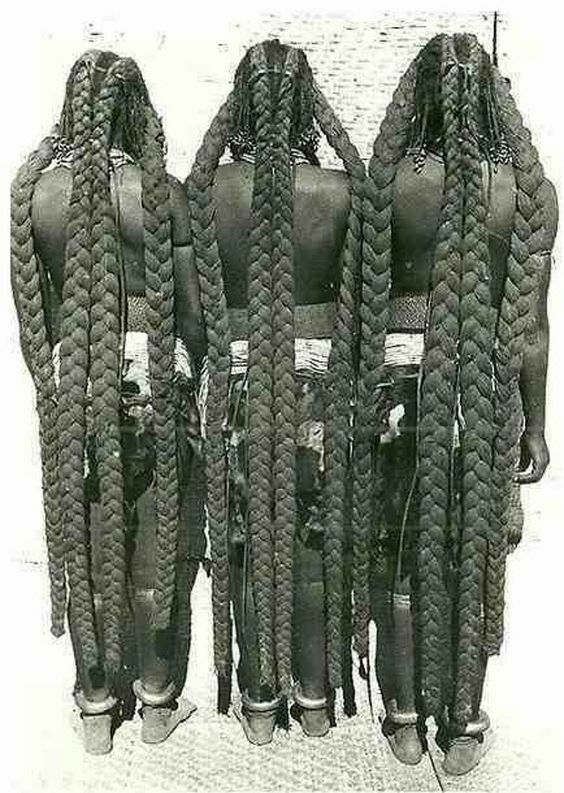 Practised in the southern regions on the continent, braiding was used by the Mbalantu tribe of Namibia to strengthen social bonds. Elder women of the community would congregate in one place with their children and would teach them how to braid. They used thick layers of finely chopped tree bark and oils to base and uphold the hairstyle. Fast forward to today and extensions work just fine. 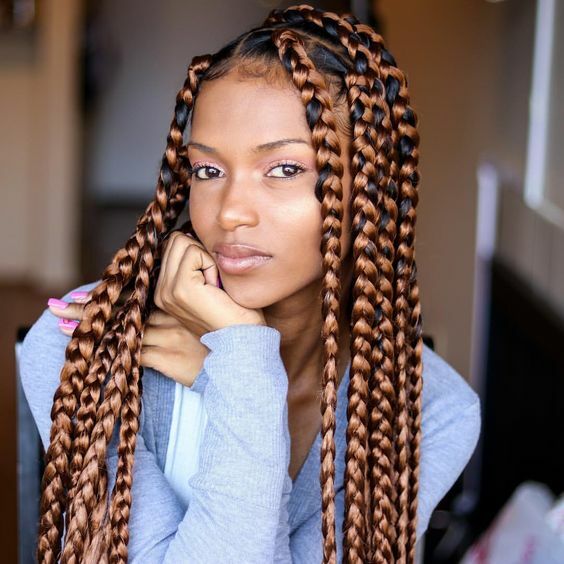 There are many ways to wear box braids – up or down, small, medium or jumbo, in a solid color or in multiple colors and short or long. Thankfully with modern technology, you don’t have to go through the stress of finding a salon and a stylist that can understand what you want. Instead, you can sit in the comfort of your own home (and heat) and do your own hair. It’s not going to be fun. Depending on the length and size, the process of braiding could take anywhere between six to twelve hours plus. The smaller and shorter the braids, the shorter amount of time you’ll be sitting in a chair. Get some friends to help expedite the process. Clean and moisturize your hair before you plait it. It is advisable to wash your hair with shampoo and hydrate it with leave in conditioner. Trim dry split ends. 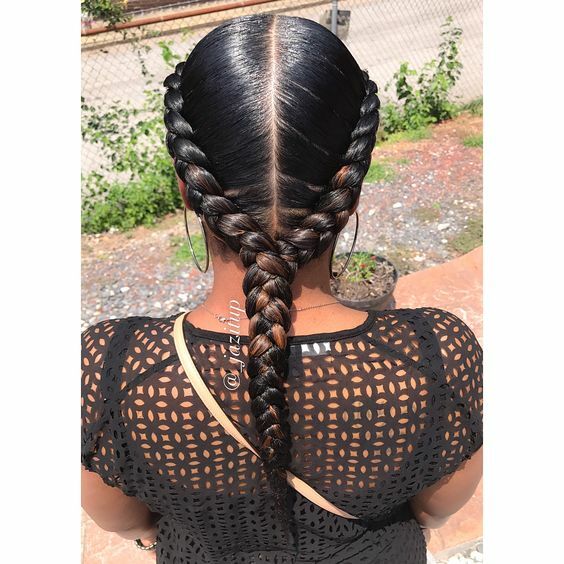 Cutting even the tiniest piece of hair may seem like torture but the braids attach and lock a lot easier with healthier tips. Coat the tips of your hair with a little oil before braiding. The oldest part of your hair is often the weakest and needs to be protected. Coconut, olive or argon oil are great options but if you’re dedicated to another sealant, that is fine. For the love of your edges, PLEASE do not braid the extensions tightly. The natural hair journey is already a long and hard road. You do not need a LeBron James hairline to make matters worse. Four to eight packs of extensions – depending on size, length of braids and facial structure of hair. In front of a mirror, section your hair into four box parts. Divide your hair in the middle – from your forehead down to your neck. Do the same with the bottom and top part of your hair. Ensure that the hair is evenly divided and that there is a straight and visible line at the roots. Use clips to hold three sections to prevent hair getting in the way. Comb and detangle fiber to prevent it from tangling. Pay special attention to the ends and that they do not have any knots. Part your natural hair in a box shape pattern. 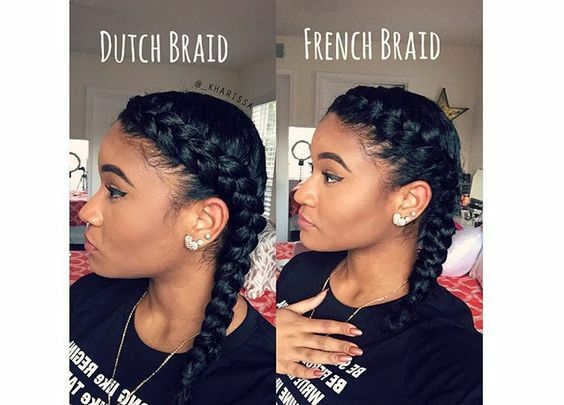 The thickness of your hair is determined by how big or small you want the braids to be. If you are doing small or medium sized braids, make them half an inch (2 cm) in thickness – about the size of your finger. For jumbo braids, section out about two inches (5.1 cm) of hair. Proceed to take about one to two inches of the fiber and separate it into two sections – one part should be ¼ of the braid and the other should be ¾. Loop the braids over each other where the smaller section hangs over the bigger one. Put edge control or sealant on the piece of natural hair you will be braiding. Divide it in half and as you do so, place the fiber above it. Blend the one half of your natural hair with one of the legs of the extension. Do the same for the other half with the other leg of extension. Start braiding it along with your natural hair. 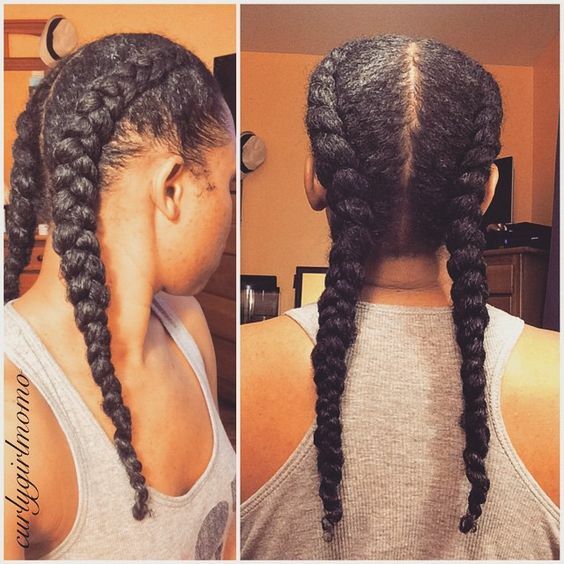 Grip your natural hair while you braid it with the extension to prevent slippage. Continue braiding until the end of the hair. Braid each section until complete. Repeat steps one to three for the rest of your head. Braiding will take a while to finish so if you get tired, take a break. Once you are done, grab some scissors and cut flyaway hair on the strand and on the ends for a smooth texture. Do it in front of a mirror so you can see what you’re doing and that you’re not cutting your own hair. Dip the ends of your braided hair into a tub of hot water. Leave in for about 20 to 30 seconds and then dry off. Cover your braids with a silk or satin scarf before you go to bed. Another alternative is to get silk or satin pillows. Wash your hair at least once or twice a week. It prevents itchiness and build up in your scalp which contributes to the health and growth of your hair. Always use conditioner after washing your hair. Spray hair with leave in conditioner then proceed to massage the scalp with your favourite oil. Keep your fingers out your hair as much as possible. That means avoid scratching and pulling your hair as this causes stress to your strands. 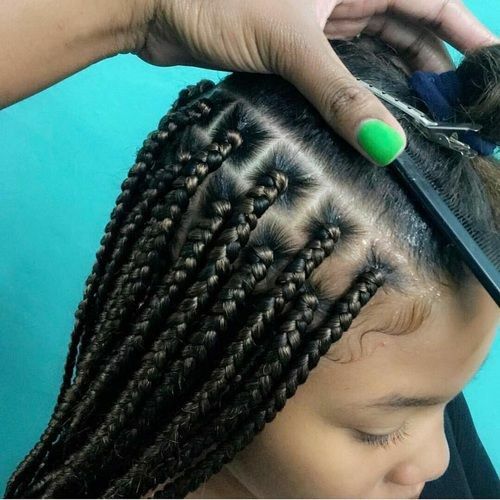 Keep your braids longer than two months. Six to eight weeks is the recommended time to have them. It is unhealthy for hair to go weeks on end without being detangled. Leaving in hair for too long can cause serious breakage. Plait braids that are heavy or too tight. This creates mechanical stress on your hair which can cause long term damage to your hairline. How do you know it’s too much? If it causes too much pain. Braid your baby hairs. They are called that for a reason. Instead, make them a part of your style by laying them down and using different curl patterns to make them pop. For more detailed tips, check out this article. Well, what are you waiting on? Stock up on what you need and get to working. Fabulous is only a braid away. If you like this tutorial, let us know if it worked and what you think. Make sure to share with your friends!